Georgia home security systems customers of Elite Security Services can now avail reliable home protection service from the company irrespective of home power availability. This has been made possible by the introduction of advanced power back up technology to all their service plans in Georgia. Elite Security Services, the acclaimed Georgia home security systems company, has recently further strengthened their position in the industry with the introduction of advanced battery back up technology to their service plans available in Georgia. This technology will help homeowners enjoy round the clock protection by keeping the security systems operational even during power cuts. Power back up technology is now available in Georgia with all three home protection packages from the company for the same price. Elite Security Services is presently one of the leading names in the nationwide home surveillance industry in the United States. The company also boasts of a strong presence in the Canadian security industry. Power cuts have always been a major concern for Georgia home security systems users using conventional security plans. These systems tend to derive their necessary power from the home power supply line. This is a major drawback for the systems because it can be deactivated very easily by disconnecting the home power connection. The new technology introduced by Elite Security Services relieves users from this problem with the use of back up batteries that takes over immediately when the home power supply is disconnected. Introducing this new device, a senior spokesperson from the company said, "This device would make your home safe during the power cuts. 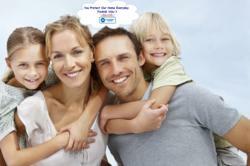 Start enjoying this benefit without any extra cost with any of our service plans". Elite Security Services offers three home security plans for their customers in Georgia. Their groundbreaking success in the Georgia home security systems industry can be attributed to the superior customer service, advanced technology, and economical price range offered by the company. The owner of the company Mr. Shakuri is a familiar personality in American home security fraternity and has served the industry with distinction for several years. The security industry experts in Georgia have welcomed the introduction of this new technology in the state by Elite Security services.